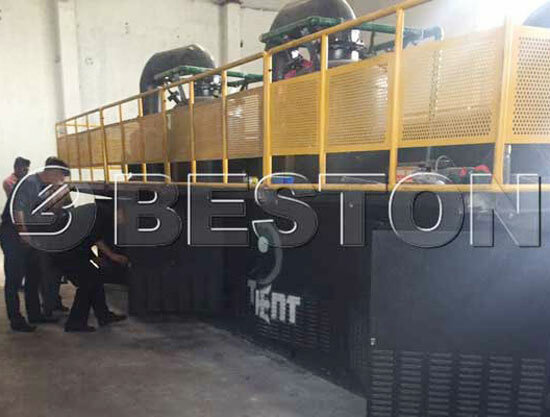 There is an increasing tendency of using a waste plastic recycling plant to recycle waste plastic nowadays. Plastic has brought a lot of convenience to human’s daily life but also poses much pollution to the environment when they are abandoned. Therefore, how to dispose of it properly has become a hot issue to talk about. Different from the other manufacturers, we have got several domestic patents of the design for the plant. We have a strong team to do the technical research and structural design to make sure our waste plastic recycling machinery stand out on the market. Followings are the unique pyrolysis plant designs of Beston. We have original designs to improve the working efficiency and reduce the fuel cost. 1.The new heating structure can combine the advantages of the open fire heating and wind-type heating together to improve heating efficiency and save energy. 2.The combustible gas generated during the pyrolysis process can be used to provide heat to the reactor. 3.The water in the hydra seal is circulating. We have competitive safety guarantee for each part of the plastic waste recycling machine. 1.Small furnace door to make sure the working process stable and safe. 2.Protective casing for the reactor: add refractory material to avoid high-temperature burn. 3.Safe devices(pressure gage, thermometer, emergency blow-off valve, vacuum pump, safety valve, automatic alarm system, automatic pressure relief system and additional gas recovery system) and fireproofing device and explosion-proofing device. We make sure our plant poses ZERO pollution to the environment. 1.The high temperature sealed automatic discharging system can keep a high discharging speed without ashes and dust. 2.The flue gas will be discharged after going through the filtering system, so as to meet the European Environmental Protection Emission Standard. In addition, we have designed three types of the machine according to the amount of raw materials. They are the small-scale plastic recycling plant, semi-continuous and continuous plastic recycling plant. The small-scale plant is the batch-type machine which has small daily capacity but a low cost and the fully continuous type has the largest size and the largest daily capacity which the cost may be more than the small one. The customers can choose freely according to their needs and budget. 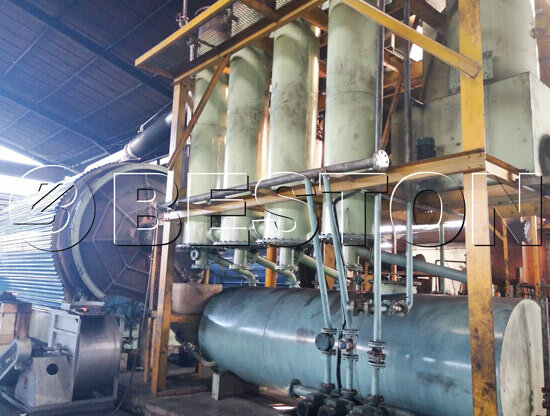 If you choose this plant, you will finally get pyrolysis oil and carbon black from plastic waste. 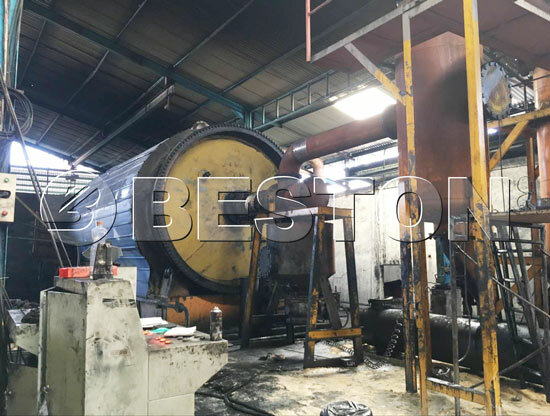 1.The pyrolysis oil from plastic waste can be used as fuel oil or reprocessed into diesel by waste oil distillation machine or can be sold directly. 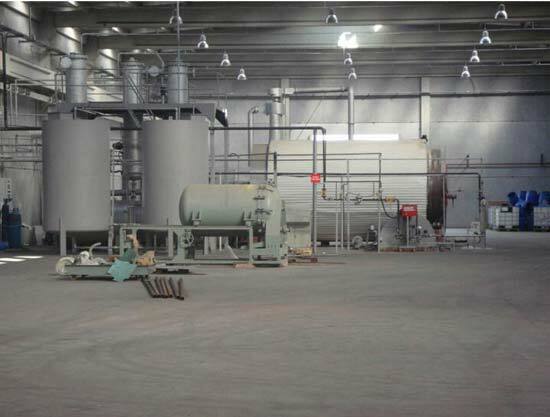 2.The carbon black can be reprocessed into high-quality carbon black by the carbon black processing plant. 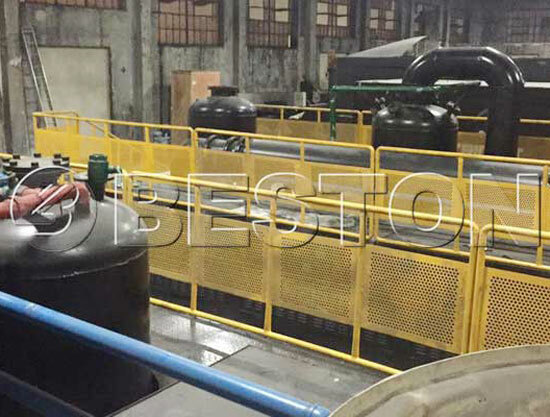 Besides, during the process of pyrolysis, there will be combustible gas generated. 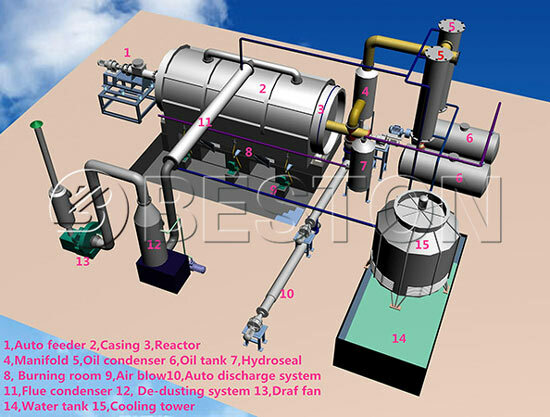 The gas can be collected and used as fuel to heat the pyrolysis reactor, so as to save the cost on fuel for the buyers. 1. Feeding. The auto screw feeder feeds the plastic waste into the reactor. Before feeding, bulky plastic waste shall be shredded into small pieces. 2. Heating the reactor and oil gas will be generated. The oil gas will go to the manifold. 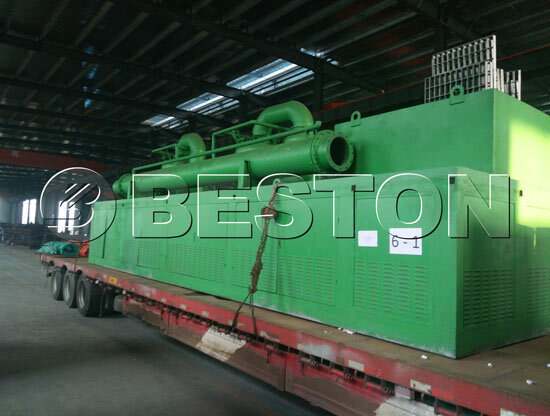 Heavy particles of the oil gas will be liquefied and store in the heavy oil tank and the light oil gas will rise to the condenser and be liquefied to light oil and then stored in the light oil tank. 3. The combustible gas generated during the pyrolysis process will be desulfurized in the hydro seal and then collected to use as the fuel to heat the reactor. 4. The residual smoke will go to the de-dusting and filtering system. 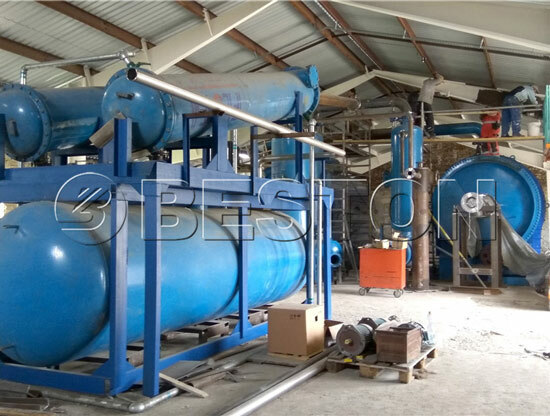 It will go through washing, water spray, ceramic ring adsorption and activated carbon absorption and finally be discharged safely, meeting the EU Environmental Protection Emission Standard. 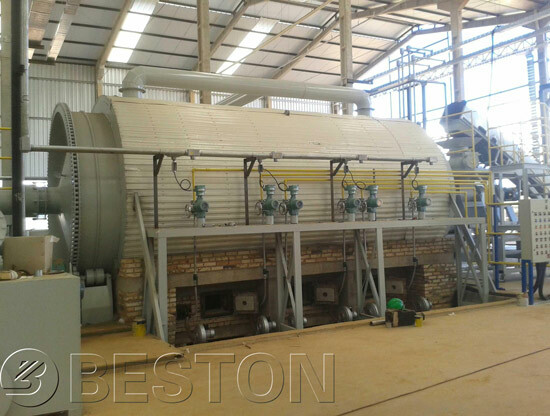 Except for high-quality and advanced products, Beston can also provide all-around services for our customers. 1. Specialized sales consultants and engineers will answer the questions about the plant at any time. 2. Professional engineering team who can help the customers with the assembling and commissioning. 3. We have the reliable turn-key project and it is very suitable for the customers who do not have enough time to set up the project themselves. 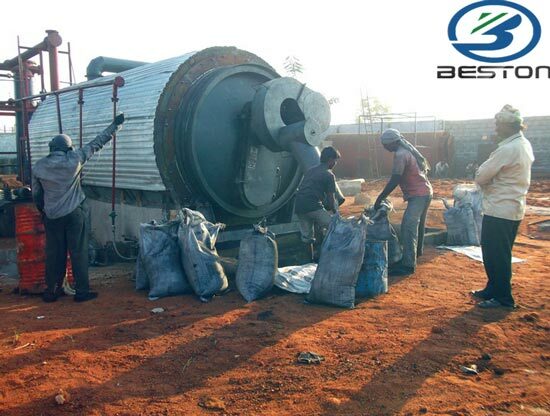 Waste recycling has been a mainstream in the modern society, therefore, Beston waste plastic recycling plant will be a promising waste to energy project you can invest in. It has high efficiency, high output but low overall cost. If you want to know more details of this plant, you can contact us at any time.